T. Bradley Edwards, M.D., specializes in disorders of the shoulder. Dr. Edwards attended Louisiana State University in Baton Rouge. After three years of undergraduate education, Dr. Edwards pursued a Medical Doctorate from LSU School of Medicine in New Orleans, where he was a member of Alpha Omega Alpha Honor Society. He remained at LSU-New Orleans for his Orthopedic Residency, where he excelled in clinical and basic science research. Dr. Edwards completed a one year Shoulder Surgery and Sports Medicine Fellowship in Lyon, France with Dr. Gilles Walch, while serving as the Clinical Orthopedic Society Traveling Fellow. 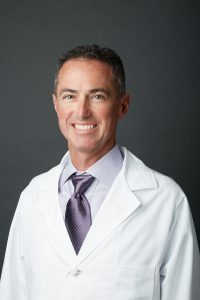 He was in practice for two years at the Minneapolis Sports Medicine Center in Minneapolis, Minnesota where he served as the Chief Shoulder Surgeon and Director of Research before moving to Houston. Dr. Edwards specializes in disorders of the shoulder including those treated with open and arthroscopic surgery. He is very active in clinical and scientific research. Dr. Edwards has published more than 100 scientific articles and ten book chapters on topics such as rotator cuff problems, shoulder instability, and shoulder replacement. He has authored a textbook on shoulder replacement. Additionally, he has more than 100 scientific presentations at national and international meetings to his credit. His professional appointments include: •	Clinical Instructor, University of Texas at Houston, Department of Orthopedic Surgery •	Clinical Assistant Professor, Baylor University, Department of Orthopedic Surgery •	Associate Editor, The Journal of Shoulder and Elbow Surgery •	Board of Editors, Orthopedics •	Consultant Reviewer, American Journal of Sports Medicine •	Consultant Reviewer, Clinical Orthopedics and Related Research Dr. Edwards is a member of the following societies: •	American Academy of Orthopaedic Surgeons (AAOS) •	Arthroscopy Association of North America (AANA) •	Alpha Omega Alpha •	American Shoulder and Elbow Surgeons •	Association of Bone and Joint Surgeons Dr. Edwards holds a staff appointments at Texas Orthopedic Hospital. In addition to his medical licenses in Texas, Louisiana, and Minnesota, Dr. Edwards is certified by the American Board of Orthopaedic Surgery.